6 weeks of Beginner Yoga. Pay in full or with 6 easy $17 installments*. Open to all age groups. Men & Women. Do it yourself… or tell your friends, relative or partner. Term lasts for 6 weeks. Take advantage of the early bird price before it’s too late! A community of new friends where you can progress at your pace. We expect to fill all classes in each course, and space is limited. Buy your pass now to avoid disappointment. CLICK TO PAY, AND THEN COME TO CLASS. Just click through to our payments page to buy your Beginner Pass online, and put it in your diary. Then come along on Monday 5th of June; we suggest you arrive at least 10 minutes early. If you have questions, or for any reason you cannot buy your Beginner Pass online, you can call or text Kate on 0438 722 645. Address: 1st Floor, 15 Commercial Road, Murwillumbah NSW 2484 – upstairs between Raine & Horne Real Estate and the New Modern Grocer. 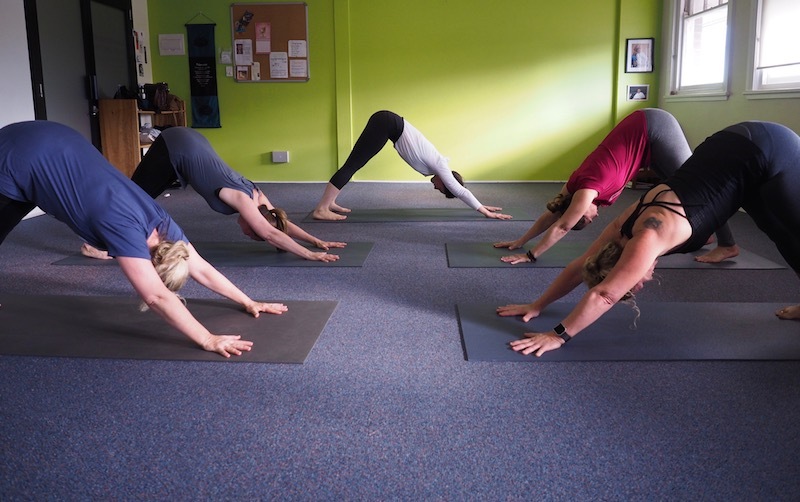 Murwillumba Yoga Centre is located in the heart of the Tweed Shire, on the corner of Commercial Road and Wollumbin Streets, Murwillumbah – handy to areas like North Arm, Bray Park, Mount Warning, Uki, Tumbulgum and Condong. Once you cross the Tweed River bridge coming into town (from Tumbulgum), you will see the Murwillumbah Service Club on the left; Murwillumbah Yoga Centre is above Raine & Horne Real Estate on the right. 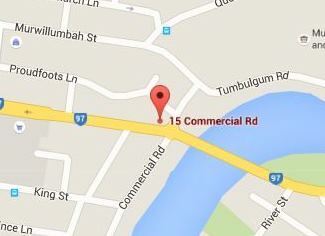 There is mostly 2 hour street parking along Commercial Road and Wollumbin Streets. Alternatively, from Commercial Road (right next door to the Yoga Centre), turn into Proudfoots Lane to access public parking. Parking may also be available at the Murwillumbah Services Club, or further along Wollumbin Street outside the Coles supermarket. Surfside Buslines route 605 provides access for those travelling from Condong, Tumbulgum and Terranora. The closest bus stop is in Brisbane Street just before Wollumbin Street – it’s only a short walk along Wollumbin Street to Murwillumbah Yoga Centre, heading towards the Tweed River Bridge . There are plenty of cafes nearby if you want to catch up with friends after class. If you have questions, or for any reason you cannot buy your Beginner Pass online, please call or text Kate on 0438 722 645. 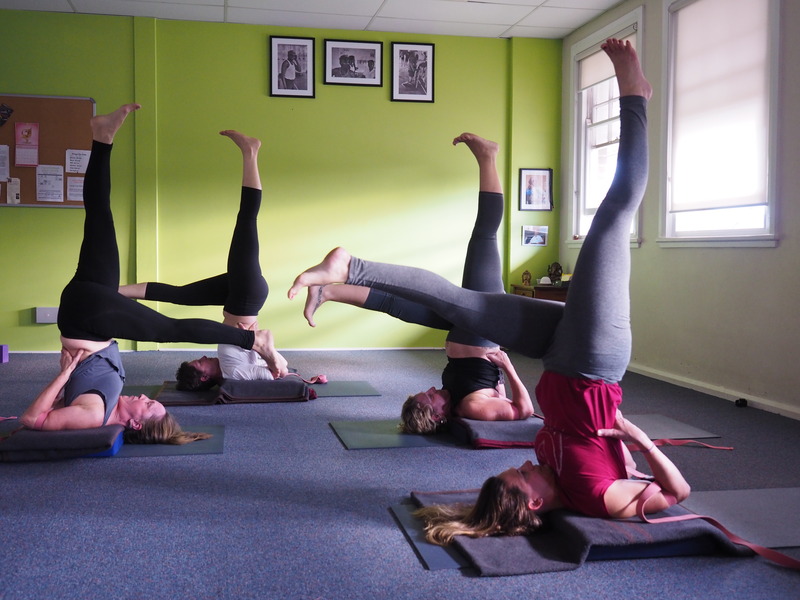 The practice of yoga over the last 15 years have convinced me that most of our fundamental attitudes to life have their physical counterparts in the body….Tenacity is gained by stretching in various yoga positions for minutes at a time, while calmness comes with quiet, consistent breathing and the expansion of the lungs. Within the quietness that results from a focussed mind is revealed the inner quality of human consciousness that is normally hidden. [It]… has many characteristics. They include peace, joy, compassion, discrimination, energy, ease and detachment. When they begin to flower in the mind of a [yoga] practitioner, they result in a life that becomes more harmonious, joyful and generous. I just wanted to thank you for a great class last night. I still feel good. Click for 25% OFF. 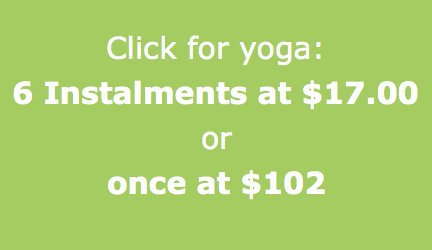 Get Beginners EARLY BIRD yoga $102. Pay by instalment* or in full.